You can check and adjust this via the menu. Choose Apps > Settings > Sounds and notifications > Volume. You can configure the settings for all related topics via the menu. Choose Apps > Settings > Sounds and notifications. 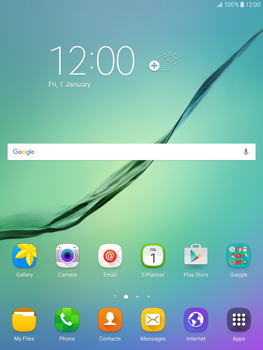 Turn your Samsung Galaxy Tab S2 9.7 off, reboot it and check whether the problem has been solved. To do this, go to Apps > Settings > Bluetooth and enable Bluetooth.